If there are admirable qualities about President Muhammadu Buhari, they are his strong political will and the capacity to see his decisions, no matter how unpopular, through against all adversity. Even when he found himself standing alone and taking the heat from the opposition, sometimes against members of his ruling APC, he didn't relent, didn't bend nor break in submission to his doubters. 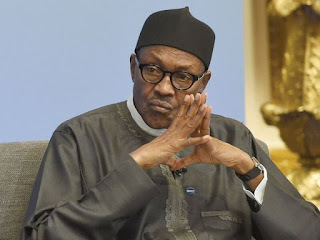 Many of his economic policies during the recent recession proved to be unpopular; the operation of a multiple foreign exchange window and ban of certain imported items from the Central Bank of Nigeria (CBN) forex list, to mention a few. Despite opposition from various quarters, he allowed the CBN the independence to formulate policies, and coupled with luck from rising oil prices, Buhari led Nigeria out of hard-biting recession. That isn’t to say he didn’t have unending troubles, particularly with the legislature. Since the return of democratic experiment Nigerians calls the 4th Republic, it is an open secret that the National Assembly is Nigeria's unofficial apex trading floor. This is where the all-powerful executive goes cap in hand to the pro-lobbying legislature to seek approval for projects, budget spending and other aspects of national interests. It is open record the executive had been coerced (sometimes humiliated) to dance to the whims and caprices of the lawmakers over and over, especially when an election cycle is coming around. The penultimate year to a general election never fails to reveal another level to the shenanigans the average Nigerian lawmaker possesses, in that period, the legislature’s avarice and most selfish tendencies emerge fully in the hallowed chambers, green and red alike. Though the principle of separation of powers states the executive and legislature be at constant loggerheads over checks and balances, their relationship in Nigeria had been particularly been bitter during the Buhari administration. The enmity between these arms of government isn't restricted to opposition lawmakers, members of President Buhari's ruling APC are constantly involved in the cloak and dagger games to impede the president’s progress on issues of national interest any time they get to the floors of the National Assembly. These mutinous senators have not failed to bare their fangs at every given opportunity against President Muhammadu Buhari and his policies. With the 2019 elections looming large in the political horizon and gerrymandering at its feverish pitch, the biggest of President Buhari's troubles is finding it hard to camouflage its colors. Members of the New PDP, a key part of the political merger on which President Buhari crested to victory in May 2015, constituted themselves a thorn in the ruling APC's side since his administration's inception. Not satisfied with upsetting the cart at every given chance, senators of the New PDP have demanded showdown talks with the President, mere days before the ruling APC's national convention scheduled for the weekend. Their demand? Besides getting automatic re-election tickets to the 2019 elections, they desperately want to select the composition of the ruling APC's National Working Committee. These rapacious individuals, who have arguably been behind every rancor that bedeviled the Buhari administration, promised to throw everything out of the pram if he doesn't accede to their every request. But true to his characteristic self, President Muhammadu Buhari has decided to rebuff their entreaties and call the New PDP senators' bluff. Enough seemed to have been enough. The game is up and much to every political observer's delight, the president won't budge an inch for them anymore. Their reign of calumny and anarchy has come to an abrupt end. They embittered nPDP senators have held their entire nation by the jugular for far too long and need to be cut to size. While this game of musical chairs may have just begun, it’s apparent President Buhari has decided not to be personally invested in the nPDP senators’ clandestine calculations. His resolve to abide by the rule of law and his party's decisions on the nPDP senators' matter has become public knowledge and he’s not famous for going back on his word. What this means is the executive has gained strong grounds and will not pander to the aggrieved senators' whims. Carpet crossing isn't new in Nigeria's political calculations, the winner or loser of this game of cards might be who blinks first, and Buhari doesn't appear ready to back down in this one. The only certain thing in this latest development is Nigerians will be treated to high stake political drama and hopefully, the winner will be the Nigerian electorate who has in the last three years seen more clearly the gladiators heading to the 2019 general elections.